Paris, Thursday, September 25, 2014. Commerce Guys, creators of Drupal Commerce, and SensioLabs, the company behind the Symfony PHP framework, have announced a strategic partnership around the Platform.sh Platform-as-a-Service (PaaS) developed by Commerce Guys. The two companies, both leading vendors of widely used Open Source web development tools, share a common interest in development productivity and code quality tools. The partnership is motivated in part by the fact that Drupal will utilize many Symfony components for its next version (Drupal 8), and in part by the opportunity that the Symfony community will now have to leverage the innovative concepts provided by Platform.sh, including the ability to easily employ superior application development workflows. Platform.sh is a next generation PaaS optimized for Drupal and Symfony applications. It provides an enhanced development-to-production workflow, enabling Continuous Integration and Continuous Delivery during development, at launch, and throughout a site’s life. Sites can be scaled from the smallest development project to massive sizes handling millions of visitors. Platform.sh closely follows the branch-and-merge workflows of Git-driven development, and is capable of providing a full-stack environment for every Git branch you create. This is ideal for enabling development teams to be more agile, and for setting up automated testing. It also significantly cuts down on the time and effort it takes for agencies and integrators to work with outsourced teams and freelancers. Platform.sh is used by development teams from day one of development projects, providing immediate benefit through developing and deploying onto a consistent stack. “This partnership between SensioLabs and Platform.sh is really the perfect answer to a growing demand from Symfony users : developing and hosting their projects in the cloud to focus more on quality code development and stop worrying about the tedious tasks associated with server management”. Fabien Potencier, CEO SensioLabs. Commerce Guys closely collaborates with SensioLabs to offer Symfony projects on Platform.sh an unmatched production experience and the same tools and productivity gains for development (up to 25% measured on some projects) as it already offers for Drupal. “We love working with SensioLabs on Platform.sh, for only a few companies have this level of expertise for PHP in the enterprise. Platform.sh for Symfony is the outcome of an outstanding cooperation between Commerce Guys and the SensioLabs engineers.” Frédéric Plais, CEO Commerce Guys. Commerce Guys is the creator of Drupal Commerce, one of the world’s fastest growing eCommerce solutions with tens of thousands of active sites worldwide. Drupal Commerce is revolutionary software that integrates commerce, content and community to create engaging Web experiences that bring e-retailers more traffic to drive more results. Commerce Guys most recently launched Platform.sh, the Continuous Delivery Cloud for web development and hosting. Symfony, is a leading international PHP framework tailored for professionals. 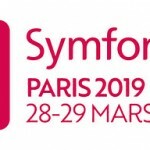 Created by SensioLabs’ co-founder Fabien Potencier, Symfony is a development framework used by many popular open source projects (Drupal, phpBB, eZ Publish, etc.) and thousands of companies (Dailymotion, Yahoo, Blablacar, etc.) in the world. Adopted by a community of 150,000 developers worldwide, Symfony and its components are downloaded over a million times each month and are recognized as the most professional open-source solution in PHP. 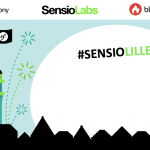 SensioLabs, an Open Source software and SaaS editor, is known for constantly pushing PHP language limits worldwide, especially following the creation of Symfony, the PHP framework for businesses and Twig, the templating engine. In addition to the numerous service, training and support offers available, the company conceives e-solution products for web developers and businesses, to improve quality, productivity, direction and deployment of PHP applications, such as SensioLabsInsight, launched in 2014. 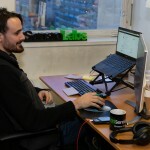 With about 100 employees in six offices in France, Germany and the United Kingdom, SensioLabs is recognized as one of the most innovative companies in today’s application development market.